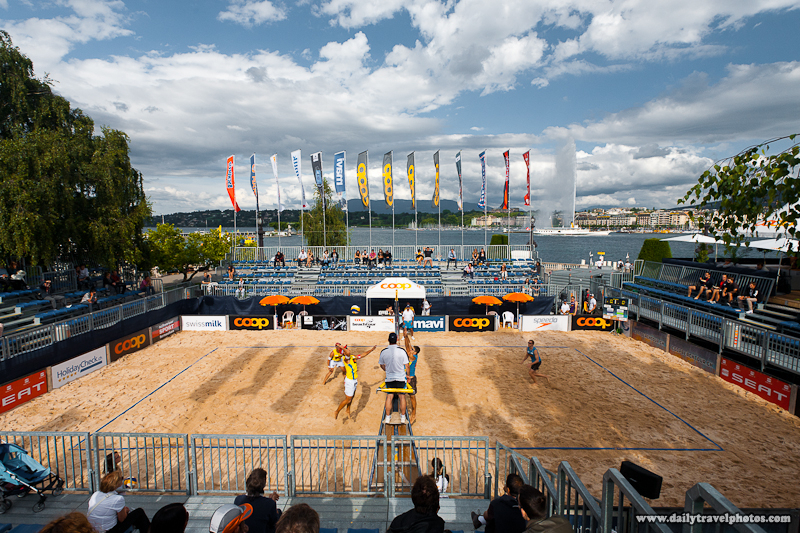 Men compete in the Coop Beach Volleyball Tournament along the edge of Lake Geneva. You can see Geneva's famous sky-high fountain of water, the Jet d'eau, in the background. 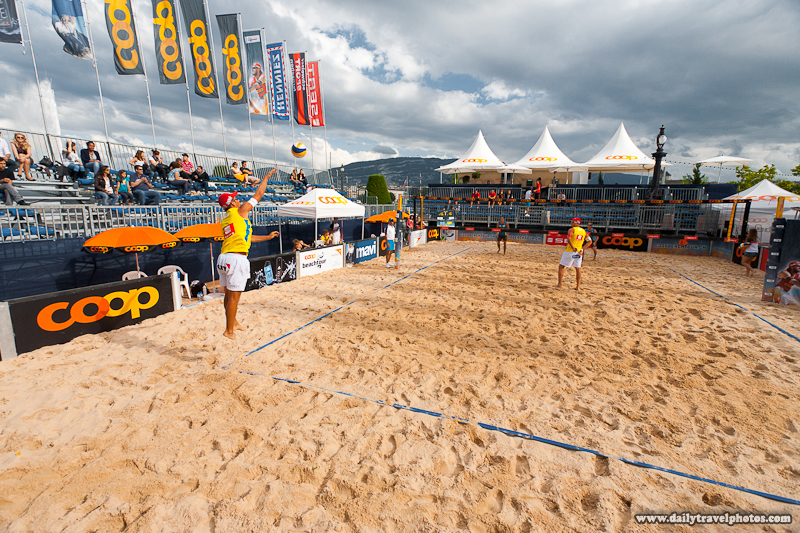 A competitor jump-serves during the Coop Beach Volleyball men's tournament.